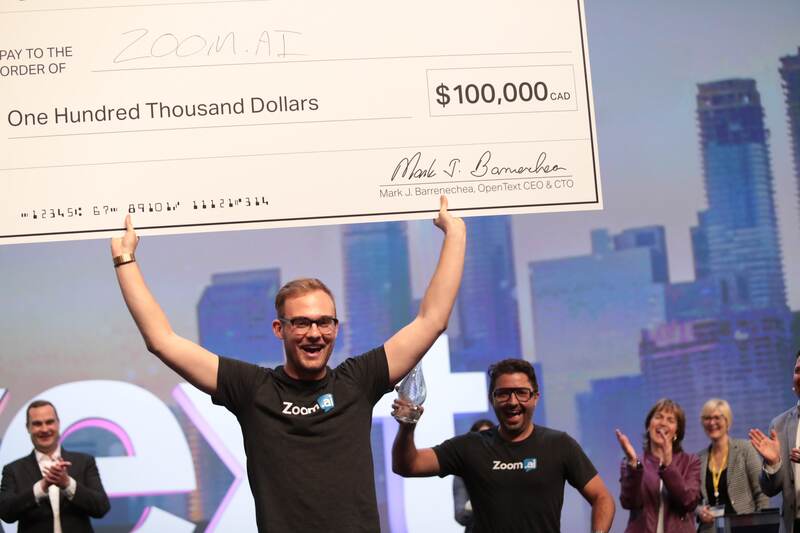 Keeping the momentum going: following recent successes, Zoom.ai wins $100,000 and claims title of Best Technology Pitch at OpenText Enterprise World 2017. The Zoom.ai team saw a chance to create something for the modern workplace that allowed their employees to focus on higher level tasks, and leave the more operational day-to-day work behind. In the last 18 months, we’ve seen such an overwhelming amount of support and trust from our customers — one that has helped us propel further and further. Head of Customer Success, Jesse Albiston and Director of Sales, Jordan Vukanovich After being welcomed by OpenText to partake in their Digital Disruption Track, we submitted our AI solution to be part of OpenText’s first-ever business pitch contest. Late last week, after Jesse Albiston, our Head of Customer Success, pitched to a joint C-level and venture capitalist panel, we’re pleased to announce that we placed first out of 29 contenders and claimed the title of OpenText’s Best Technology Pitch. “Having a huge, established enterprise software vendor like OpenText award us this prize is a great validation of our vision to enhance every employee’s experience in the modern enterprise. The pitch was a unified team effort that brought together our latest learnings from our enterprise customers. From our win at CIX20 and the HR Tech Den to our recent closing of a $2.1M seed round, this OpenText win is a sincere expression of the trust and confidence our AI solution is garnering from the global tech community,” enthused Founder and CEO, Roy Pereira. 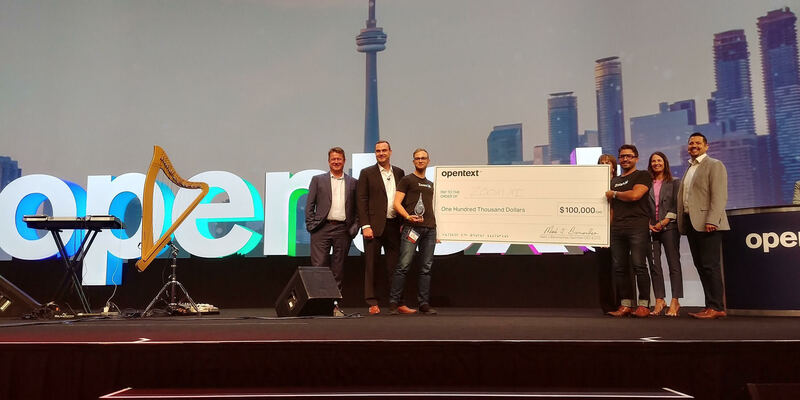 With this prize of $100,000 and a year’s free entrance into the OpenText Global Partner Program, we have the opportunity to accelerate our capabilities and vision to enhance every employee’s experience in the modern enterprise. The entire team here at Zoom.ai is looking forward to the challenges and the opportunities that exciting wins such as these bring to us. Check out OpenText’s announcement here.Did you catch it? Zoom.ai was on CBC’s On the Money this week. Here’s the clip.